In college, I used to read Faulkner and Eliot and Joyce, and after a while I got pretty good at deconstructing those guys. I like to think I’m fairly smart, or at least not a ding-dong dummyhead. But for years, dry shampoo perplexed me. Friends and stylists would rave about how it could add volume, extend the life of a blowout, add one more day between washings. All of this sounded great! Yet when I tried it for myself, I’d inevitably look like an 18th-century magistrate. White powder all over the place like an Alvy Singer party. At best, I’d manage to rub some of the powder into my hair, which had the questionably better effect of dulling my coiff into a Seattle-skies gray. 1. Don’t mess with the powder version. I know some people swear by the loose powders, and I’ve seen them used to great effect — by professionals. If you are in a hurry or just aren’t that coordinated, go with a spray version. It will be easier, trust me. 3. Don’t put it all on top of your hair. Is this obvious? (Maybe?) Anyway, it’s important to divide your hair and spray underneath those sections, not just on top. Then, brush it through to distribute the product. This is how it soaks up the oil throughout your whole head. Also, I think this is obvious, but you don’t need to put dry shampoo on the length of your hair. Just the roots, but you probably knew that. 4. Think beyond the faux-cleanse. 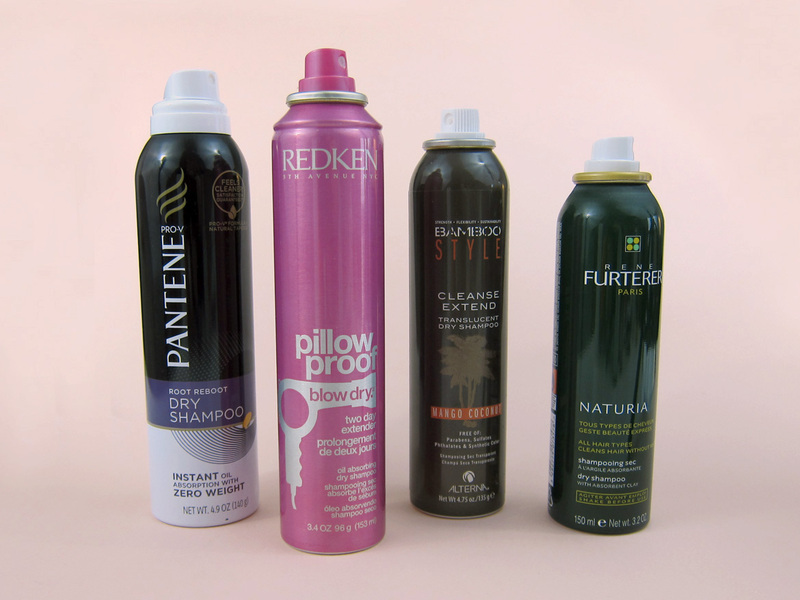 Yes, you can use dry shampoo to freshen up unwashed hair, but it also adds volume. So if you’re going for that big-hair-don’t-care style, spray a little at your roots to lift things up. 5. If at first you don’t succeed, try a different formula. As is the case with most products, some are good and some are not. I like all of these. Pantene is a nice place to start if you’ve never used dry shampoo, because it’s well-priced and does a good job of soaking up the oil. Redken Pillow Proof is a newer one, and it doesn’t leave residue, which is important. I love Alterna Cleanse Extend because it smells great, especially the mango-coconut version. (I use this when I truly want to trick myself into thinking I’ve shampooed.) Finally, there’s Rene Furturer Naturia, which pretty much takes flat hair from blah to boi-oi-oi-oingggg! with two or three sprays. By no means are these the only good dry shampoos, of course, so if there’s one you swear by, I’d love to hear about it. * See, this is conjecture because I don’t think I’ve actually seen cocaine in real life. Square. Annie, so with black or very dark brown hair, you’d recommend Bumble & Bumble? Any of the less expensive ones you could suggest? Thanks! Hihi! I think B&b’s spray version is good, yes. And if you go to a salon that stocks it, I bet they might let you try it out before you buy. Batiste also makes a tinted version for dark hair, and though I haven’t tried it, their stuff is pretty good, and it’s less than $10. Finally, I have a surprise for you later this week. Will try Batiste first. I’m interested in dry shampoo to minimize the damage I’m doing to my hair by washing and styling it every day…!